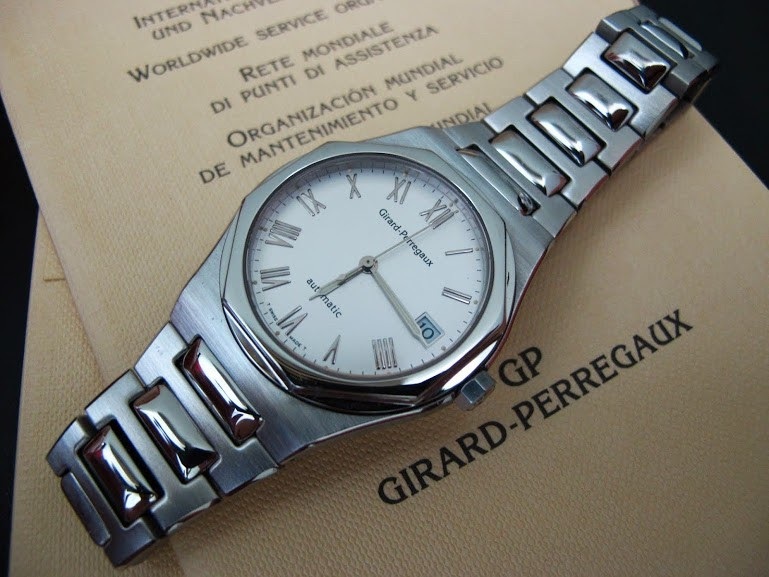 Time for Part II of our little series of underappreciated Girard-Perregaux watches from the 1990s. 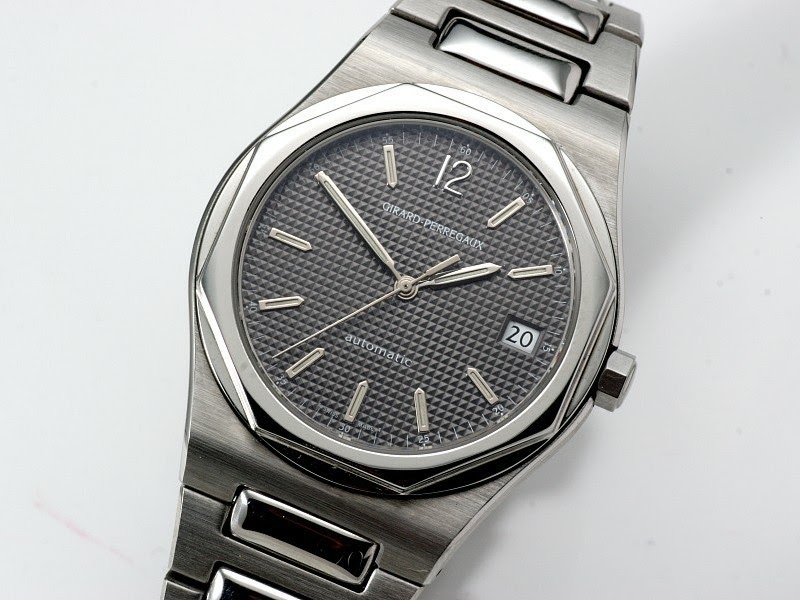 In Part II we will look closer at the Girard-Perregaux Laureato 8010. You may argue that with the re-launch of the Laureato in the current collection, the semi-vintage 8010 is not really underappreciated anymore, probably even highly sought after. To some extent that is probably true, but then if I observe the market, the Laureato 8010 is still only a fraction of the price of the modern Laureato. Compare that with the AP Royal Oak…okay, I’m getting carried away. So let’s have a closer look. 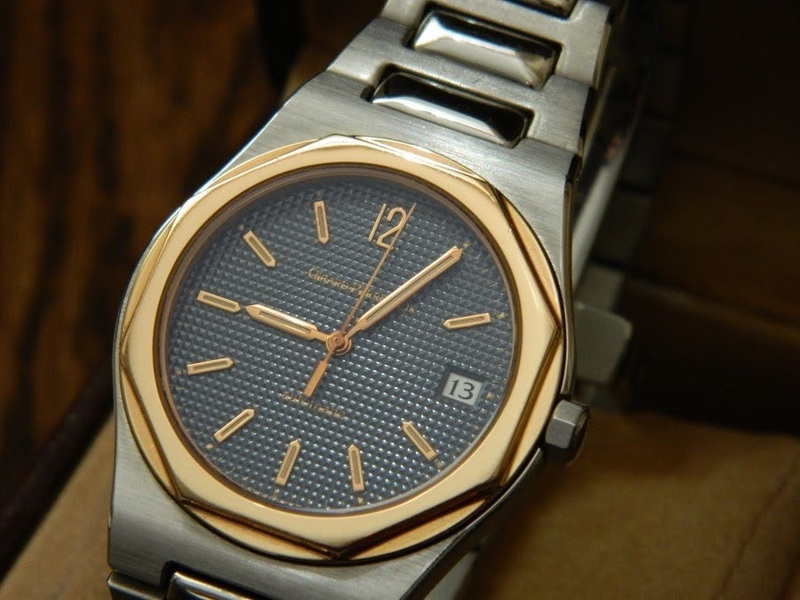 Unlike in Part I when we looked at the 7000 series, we really only have one Reference/Modell of the Laureato 8010. I deliberately focusing on the time-only Laureato and leave the Laureato Chronograph 8017 out of the equation as that is almost a Part on its own, even my series this time will not cover the Laureato Chronograph. 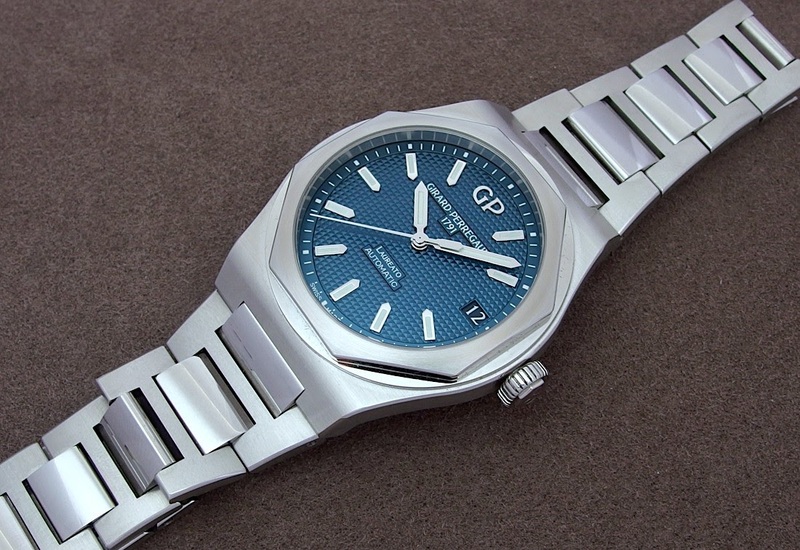 There have also been some Ladies models (Ref 8000) which in fact are very very nice (but Quartz) and worth looking into, but here we will stick to the men’s Laureato. 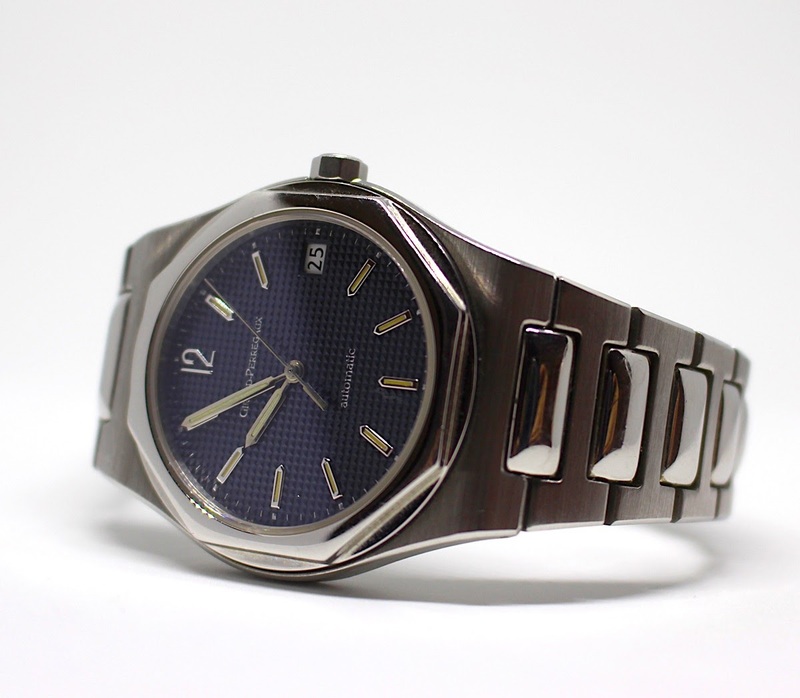 The Laureato 8010 came to life around 1995/96 and was equipped with the then still fresh in-house Caliber 3100, featuring a central seconds and a date window at 3. One of the main features is the slimness of the automatic caliber, allowing a very thin case and as a result providing very balanced proportions on a watch with a mere 36mm diameter. 36mm today is a Ladies watch, but trust me, the Laureato 8010 is very masculine and I never feel that it is too small when wearing it. Mind you that I also comfortably wear the 46mm Laureato Evo3 with Rattrapante/Foudroyante, which is a much thicker watch. So it is all about the proportions! So it’s quite a rare watch, but not strictly limited. However, when we go deeper on the different dial versions, you will see that finding the exact one you fancy, is not that easy. 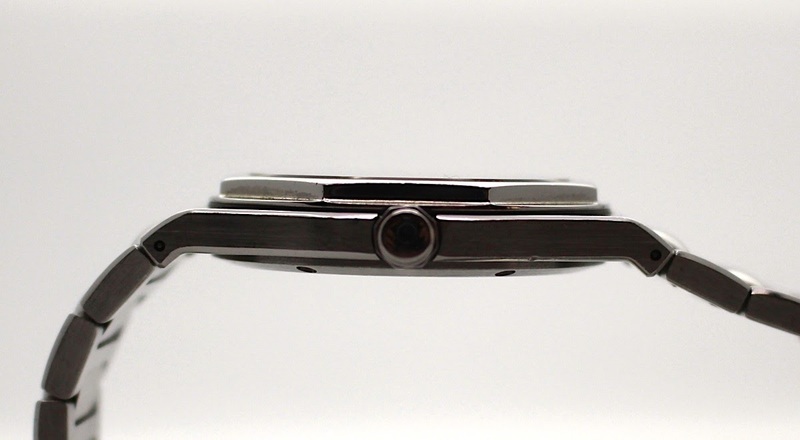 All Laureato 8010 came with an integrated bracelet. I’m not aware of a strap option, but I have seen once someone attaching a custom made strap to a 8010. In my view, it doesn’t work, this watch needs the bracelet as it is part of the overall design. There are also two bracelet variations, even though they look exactly the same. The large majority of 8010s came with a rather stiff bracelet and a single-folding clasp that is secured by a somewhat fiddly security flap that opens orthogonal to the bracelet. While that clasp is relatively solid, it is still no surprise that you find quite often that it broke off. A few 8010s and I assume later production came with a more flexible bracelet and a double-folding claps, which also dropped the security clasp. I have both versions and there is a huge difference in comfort on smaller wrists as the flexible bracelet and the double-folding mechanism is so much better. 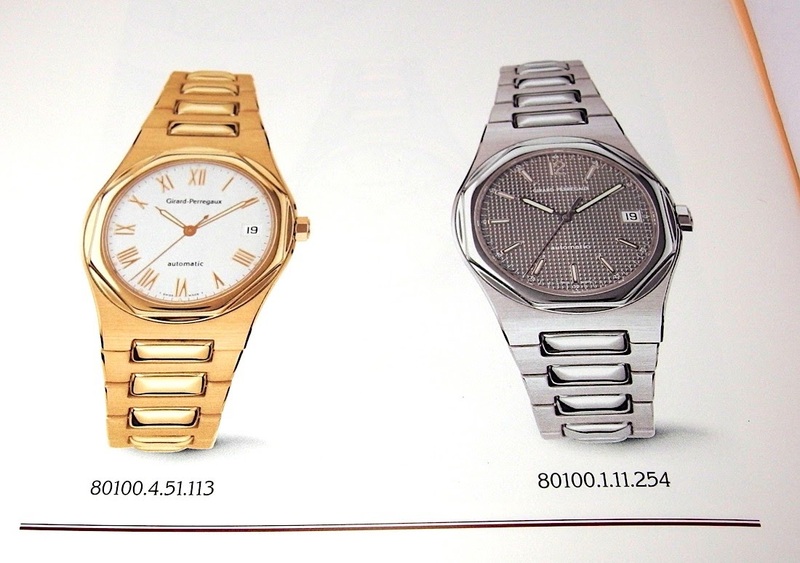 While we are at the bracelets, there is a distinction of the Mixed Metal Laureato’s. 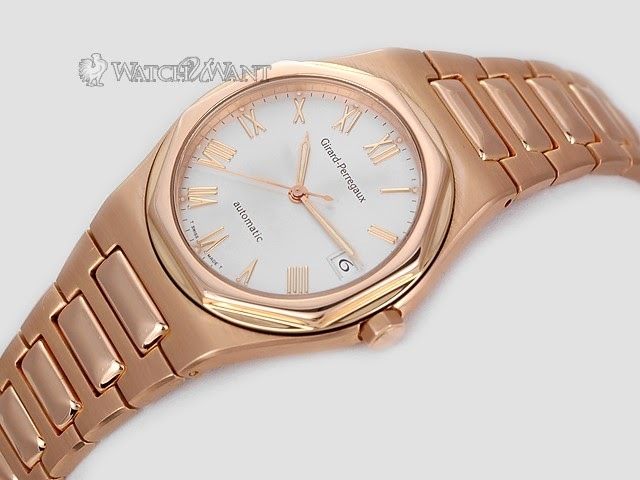 There are versions that sport a solid gold bezel but came with an all steel bracelet, while others had also the inner cushion-shaped bracelet links in solid gold. 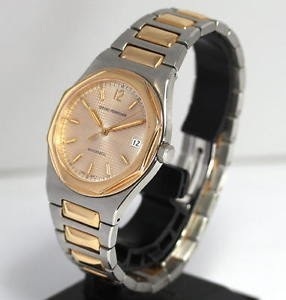 It’s probably down to personal taste, but I could live well with a gold bezel as long as the bracelet is all steel, the mixed metal bracelet would not be my taste. Coming now to the different dial versions. 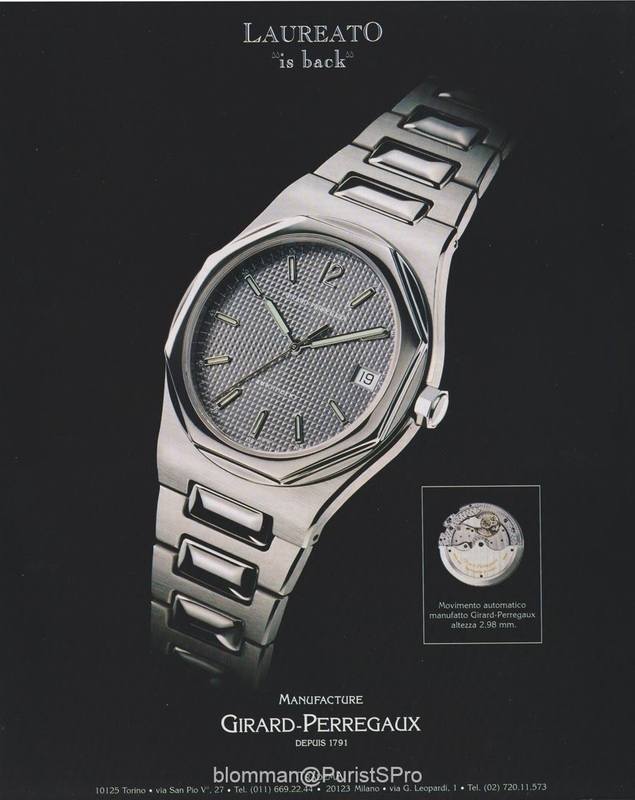 First of all, not all Laureato 8010s had the classic Clous-de-Paris hobnail pattern dial. There have been dial versions with flat painted dials and applied Roman numerals. Those versions also had different hands. 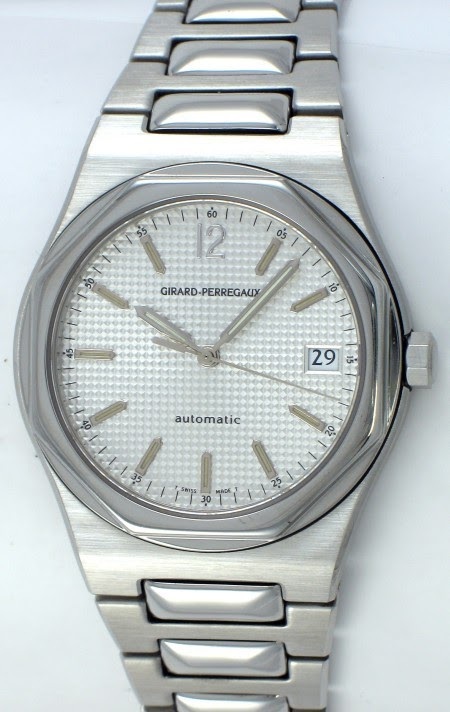 I don’t have any numbers how they distribute, but from what I have seen of available 8010s, the Clous-de-Paris dials must be more than the flat dials, but not massively that you could call the flat dial very rare. Given that the current production Laureato’s all feature Clous-de-Paris pattern, I strongly believe that the Laureato 8010 with Clous-de-Paris is the one to look for. Besides, the Roman numerals feel a bit out of place on this sports bracelet watch, but again, that’s my personal view and taste. Dial colours with Clous-de-Paris I’m aware of are white/silver, grey and blue. The blue is not a vibrant blue but more of a subtle blue/grey. I think you slowly see the problem. 3 different case material mixes (with additional variations on the bracelet and the colour of gold), two different bracelet styles, two dial versions and again various dial colours….the combinations are endless, which applied to the relatively limited production, could really result that you will ever only find a few watches of one combination. So what combinations are the most desirable in my view? 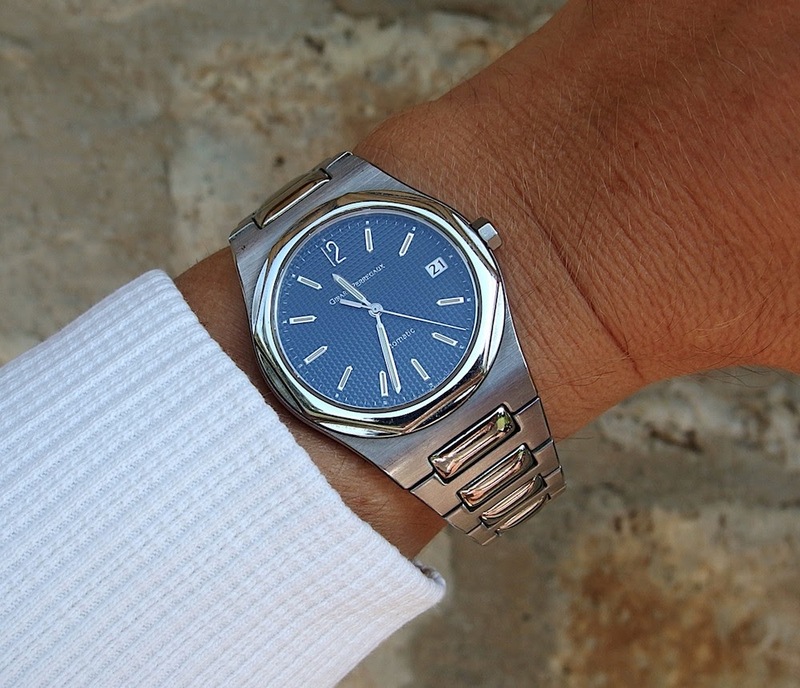 All Steel, Clous-de-Paris blue dial. Unfortunately with single-folding bracelet, but I can live with that. The Same watch with the silver/white or the grey Clous-de-Paris pattern is equally hot in my book. When it comes to mixed metals, I kind of like the grey dial hobnail with pink gold bezel but all steel bracelet. I think this version has a lot of class. Unfortunately all of those 4 versions are not easy to find, but of course, you have a much better chance if you hunt 4 versions than only 1. The all solid gold…not something I would go for. 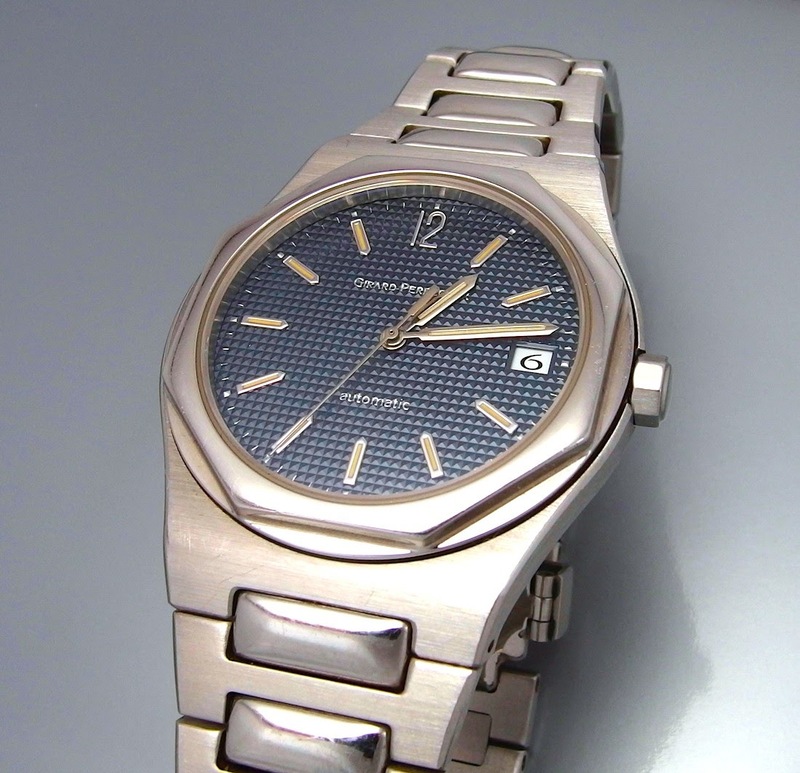 I’m not sure if there was a white gold 8010, but if it ever existed, it will be super-rare, but in general for this kind of watch, steel is the best material. 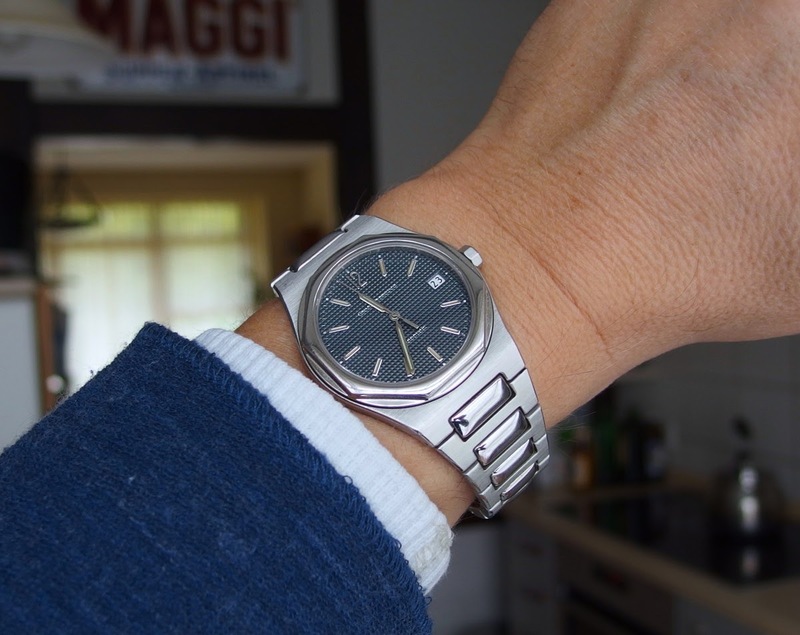 So if you want a classic sports chic bracelet watch that has a practical WR (100m), is thin and not too large, do look at those semi-vintage Laureato 8010s. They are on their way becoming classics and they are much rarer than the modern cousins. Always drawn to this style in GP...... Another great review and a very interesting watch to consider. Of course, the drawback to this theme is that there is a natural tendency to wait until all parts are finished to evaluate......leaving the best to last theory. Thank you, Baron. I can see the drawback, but then... no need to limit to only one not sure I ordered the Parts with a "best-for-last"
great article , i would grab it if i bump in one on my road. i definetly will , actually checked some sites but the couple I found was w the roman numerals which isn t my cup of tea, the single security clasp is to die for . I agree. The flat dial with Roman I would pass on too. But others will come up for sure. Superb post and photos, thank you! Really beautiful reference.